There's been lots of talk lately about what Apple plans to do with its various music offerings, including iTunes and Beats. Will it merge iTunes and Beats and do away with Beats entirely? Or will it simply overhaul iTunes as it launches a new streaming service? Is the iPad Pro still happening? The developer beta version of iOS 8.4, which Apple released today, doesn't answer those questions, but it does seem to herald the coming changes. The iOS update comes with a totally revamped version of Apple's Music app with a completely redesigned interface and "powerful new features," according to the official description. These run the gamut. You can add custom images and descriptions to playlists, for example, and there's a new "recently added" section. There's also a new MiniPlayer that displays what's playing even as you browse your library. And iTunes Radio has been "streamlined," perhaps a sign of things to come. The most recent iOS update, iOS 8.3, most notably added greater emoji diversity. 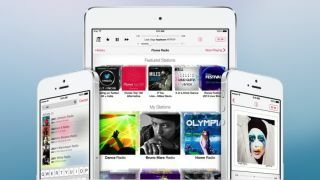 We've heard previously that iOS 8.4 will feature the debut of the new Beats Music service, and that may yet be unveiled.